One of the world’s best known animal researchers surveys the results of more than three decades of painstaking study in JANE GOODALL’S WILD CHIMPANZEES. 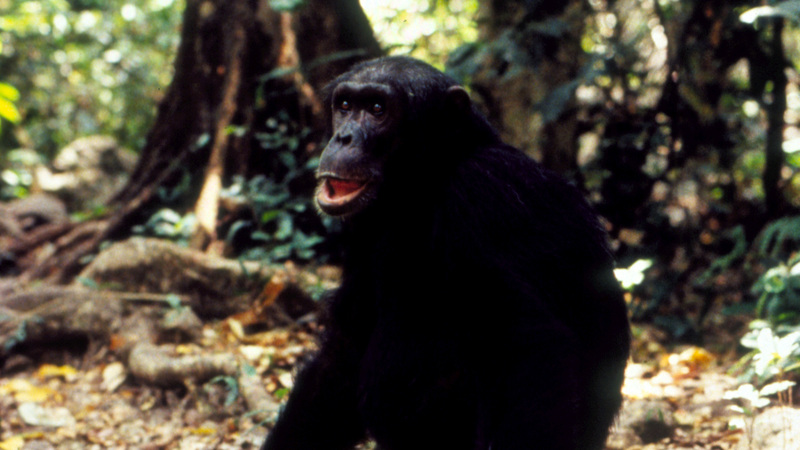 When legendary scientist Jane Goodall first came to Tanzania more than 35 years ago to study the chimpanzees of Gombe National Park, the vast, flourishing forest teemed with apes. Today, the park is ravaged by logging, and home to only about 40 chimps, who live confined to a few protected square miles. But the chimp population in Gombe remains abuzz with drama and intrigue. Of the many chimps Ms. Goodall got to know when she began her studies in 1960, just one — Fifi — is alive today. And Fifi’s two eldest sons, Freud and Frodo, are now locked in a power struggle over the title of top-ranking male, a conflict that is dominating life in the community.